Caswell-Massey Soaps, Lotions, Talc and more | P.C. Fallon Co.
We are proud to offer the complete line of Caswell-Massey soaps, lotions, fragrances and more. 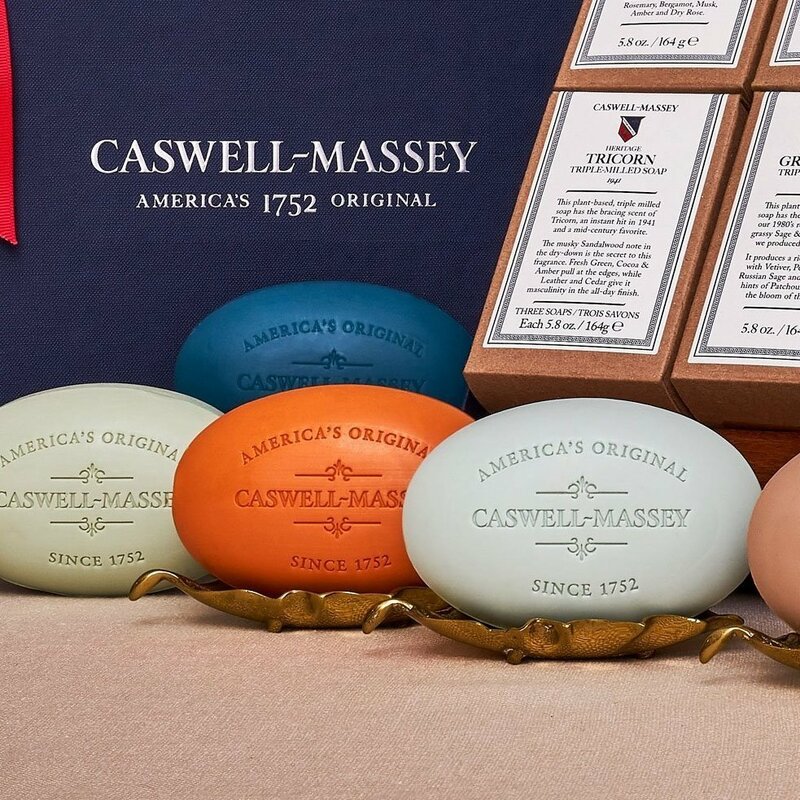 Caswell-Massey has been America's premier soap maker and perfumer for Presidents and dignitaries since 1752. Caswell-Massey products have been used by numerous administrations at the White House, and JFK's signature scent was Jockey Club, which is still popular today. The company continues its proud legacy of producing wonderfully fragrant bath and body products for ladies and gentlemen with discerning taste. Caswell-Massey products are beautifully packaged for a lovely presentation. P.C. Fallon Co. has best prices and best selection on Caswell-Massey. Orders usually ship within 48 hours. Weekday orders before 2:00 pm EST usually ship same day. Caswell-Massey is known as America's original apothecary. Founded in 1752, the company has produced top-quality bath and body products with wonderful fragrances ever since. Caswell-Massey products are made in the USA of pure ingredients and an unwavering commitment to quality. One distinction that sets Caswell-Massey apart from its competitors is that it continues to offer a large selection of bath, body and shaving products for men, as well as many for women. Caswell-Massey creates its wonderful personal care products with no sulfates, phythalates, parabens, or animal testing. P.C. Fallon Co. is proud to offer Caswell-Massey's complete line.